Mm. 113-212 the 2nd theme plus a 1-bar ending. 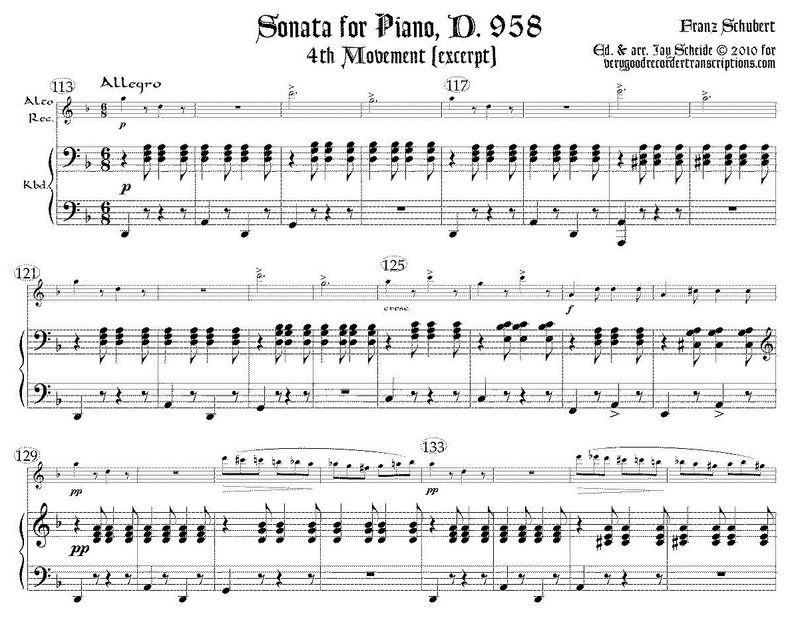 Transposed into keys a minor 2nd higher (there are three changes in key signature over the 100 bars). NB: we also offer versions for recorder duet for either alto/bass or soprano/tenor. Revised Feb. 9 2016.